Why is he so happy? Because he knows that in a matter of 5 to 10 years, his practice will be full of remote workers and digital nomads. 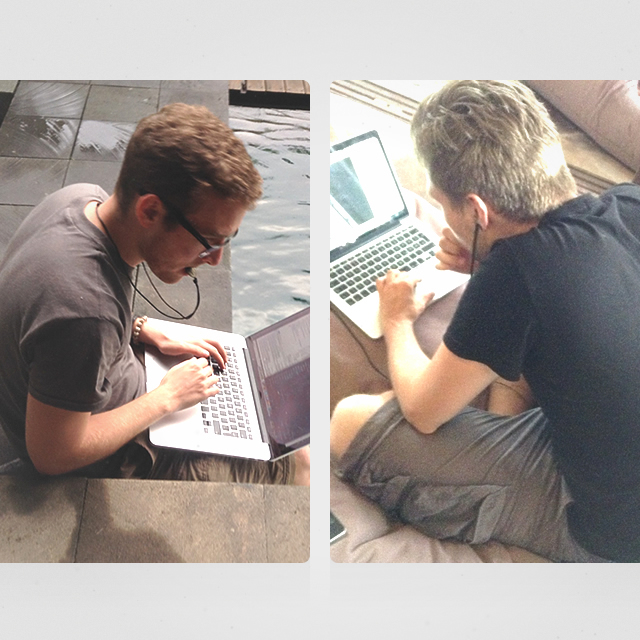 The archetypical digital nomad posture. It doesn’t take long for these postural predicaments to develop into muscle imbalances that put ongoing stress on the tendons and skeleton, even when you’re not working, and prolonging these bad habits will eventually lead to more serious problems, including slipped discs, pinched nerves, and tendon degeneration. Your wrists should be flat, angled neither upward or downward. In a traditional office space, you can solve the problems above by purchasing a high-quality chair, having an external monitor at the correct height, and having a keyboard tray to keeps your keyboard in the right position. However, most nomads are left to make do with whatever workspace they can find, as they move from space to space and work out of places where you can’t really buy bulky hardware and just leave it lying around. Thus, for a nomadic worker, the solutions to the above problems must be as portable and as lightweight as possible. 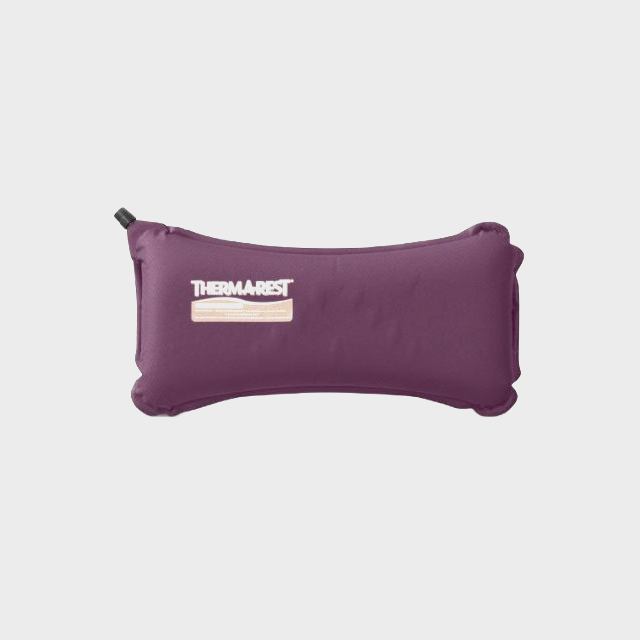 The Therm-A-Rest Lumbar Pillow is a self-inflating pillow that can add lumbar support to most chairs on the go. To inflate, you simply open the nozzle and it will automatically start filling with air. Deflating is just as simple, and once deflated, it rolls up to the size of a pair of socks, adding very little weight to your case. These are available on Amazon for $23. 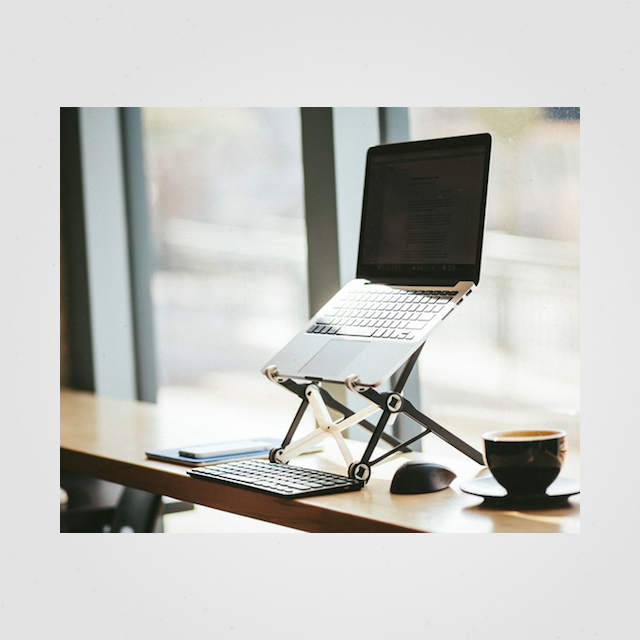 This is the best-in-class laptop stand for digital nomads. The Roost is lightweight, sturdy, fits almost any laptop, and folds up to easily fit in your bag. These were so popular that they sold out for a while, but Roost just launched a Kickstarter Campaign for a new version of the stand, and have already raised over $100,000. 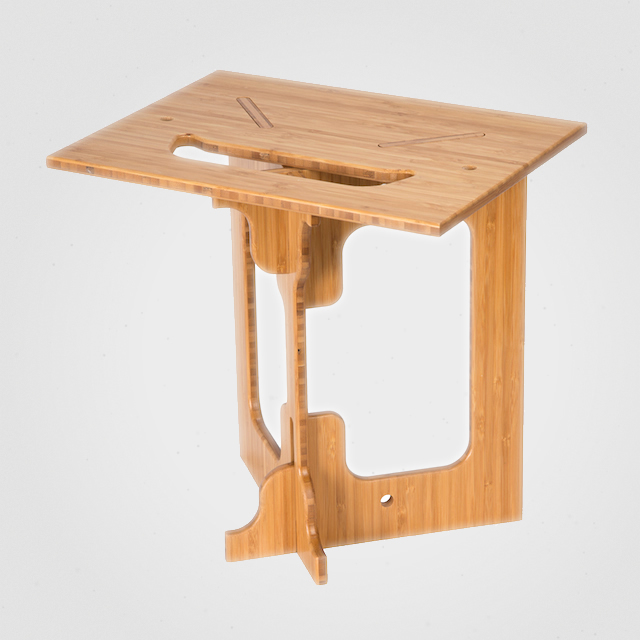 The StandStand is a portable standing desks made out of birch or bamboo. They range in height from 9 to 14 inches, and weigh only around 2 pounds. If you’re looking for a standing desk that you can take on the go, look no further. When using a stand to raise your laptop to eye-level, an external keyboard really becomes necessary. 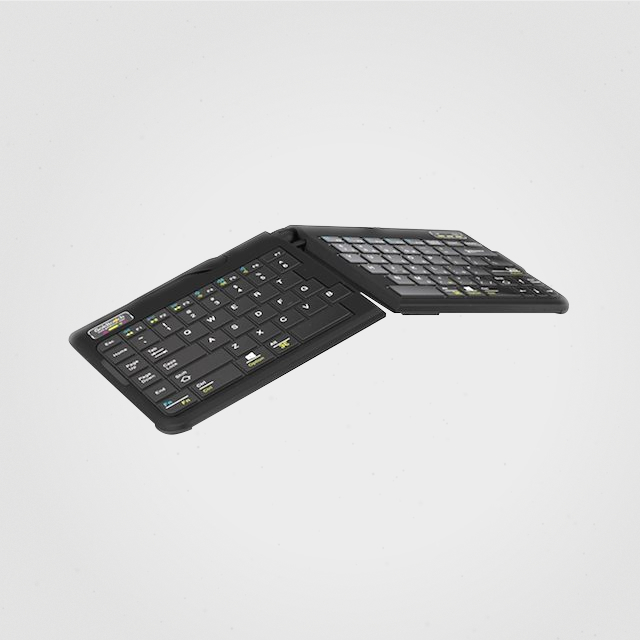 The Goldtouch Go!2 is a portable keyboard which is great for travel, as it actually folds in on itself for compact storage. Goldtouch also makes a wireless version of this keyboard, but many reviews complain that the Bluetooth connection is unreliable, so we recommend going for the wired version. This keyboard runs around $90 on Amazon. One thing that can cause RSI in the wrist of your dominant hand is repeated movements of the mouse. A solution for this is to buy a mouse with a trackball, which decreases the need to move your arm and wrist into awkward positions. 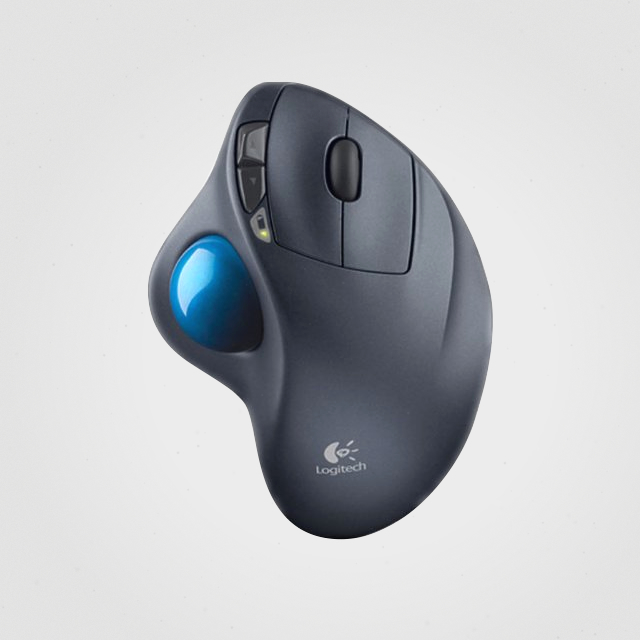 Logitech has a number of great products in this space, and we recommend their M570 Wireless Trackball Mouse. One change that many people find effective in alleviating and preventing RSI symptoms is switching from the QWERTY to Dvorak keyboard layout. The Dvorak is an alternative keyboard layout, patented by Dr. August Dvorak in 1936, that is designed to minimize the distance traveled by your fingers when typing, and to place the most commonly used letters under the domain of your strongest fingers. It has many proponents, including Matt Mullengweg (creator of WordPress), and has been shown to reduce the your fingers’ travel distance by 40 to 45 percent. For a programmer, that 40 to 45 percent adds up over the months and years, and while it typically takes two to three weeks to become fully functional switching to a new layout, many developers may find it worth it. The above are all accessories you can buy to soup-up your portable workspace, but there are other things you can do to stay healthy. Participating regularly in physical activity, such as yoga, abdominal workouts, or a stretching routine, goes a long way towards keeping you strong and preventing chronic pain. And, even if you do have a regular exercise schedule, consider building a routine of taking breaks from work every 30 to 60 minutes. Prolonged periods of sitting in front of a computer may lead to musculoskeletal disorders, eye strain, and obesity-related illnesses like diabetes and heart disease. Getting up and walking around every hour or so will keep your body going for years. It would fantastic if you could show up to a cafe, coworking space, or hotel and find a chair with proper back support, an external keyboard, an external mouse, and a laptop stand. In essence, a nomad could drop in on a location with just their laptop, and immediately have a fully ergonomic workstation at their disposal. And that’s a good thing, because working while traveling is awesome, and so is being healthy. I use a Kinesis Advantage keyboard, very helpful (it takes about 40 hours to retrain your fingers, but well worth it). Hmm. I always wondered why the metal was cleaner on the bottom of my pendant! Great post Casey! Fantastic, I've been looking for a post like this for a while. I work from cafes often, so taking care of the spine while looking at a laptop all day ( in different environments which you can't fully control ) is vital. Some helpful solutions here. Great post, Casey. It's so easy to just work out of a bed or couch but it really starts to affect your body, even in a short period of time. We always make a point to work from coworking spaces or cafes with good tables and chairs, so we can maintain a proper posture while working. I've also set myself a reminder so I stand up every half hour and do a small stretch routine or walk around for a few minutes. It really helps! Awesome post! We offer ergonomic office furniture and accessories to businesses in Canada at www.ugoburo.ca but unfortunately don't have much ergonomic workable solutions for digital nomad workers. 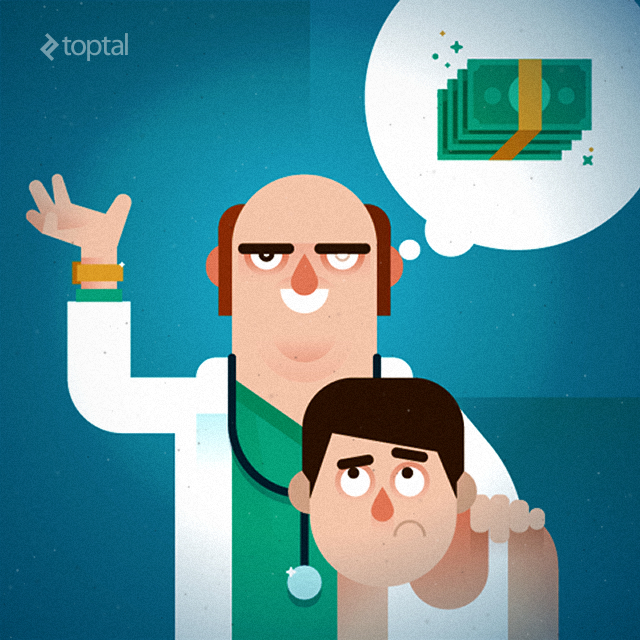 This reality is a huge potential health issue when considering the amount of freelancers on the road and in cafe's around the globe. But it also represent a fantastic business world-wide business opportunity for who will come with a low-cost and friendly-user solution. In the meantime, it would be best for freelancers to work from home or a co-working space (20 ergonomic tips here: https://www.ugoburo.ca/en/blog/ergonomic-tips-list-for-office-work/ ) in the meantime and use quality ergonomic furniture to prevent computer-work related injuries. My two cents. Cheers! Great post Casey! Having been working remote for the last 5 years, I really love this product: https://getbetterback.com. It fully corrects your posture where ever you're sitting. Check it out!